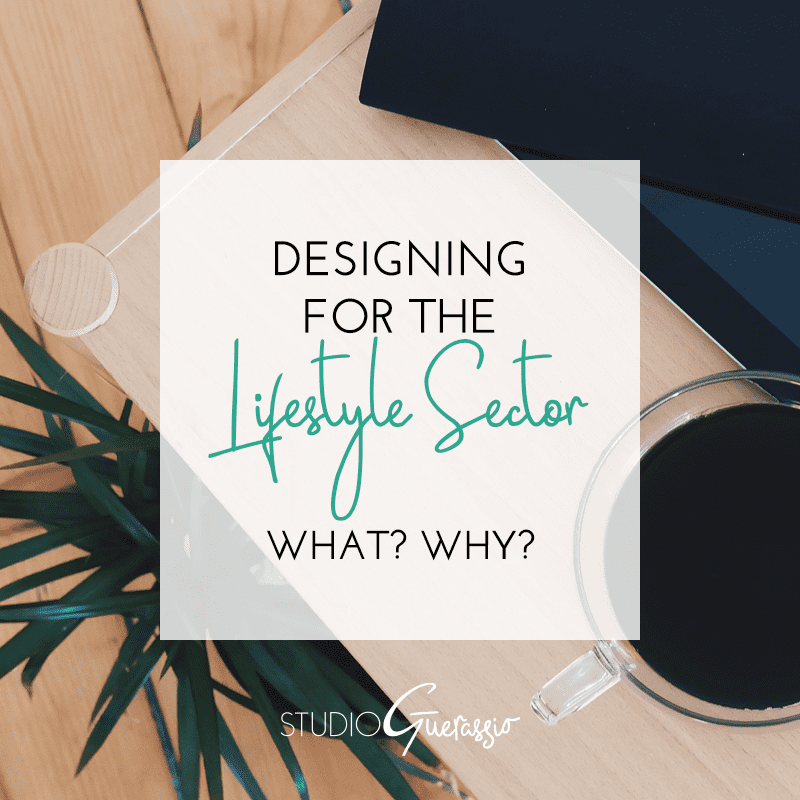 Designing for the Lifestyle Sector: What? Why? What do you do when you cease to love the thing you love to do? I’ve always loved design. And I’ve been in business for myself doing just that for almost a decade. It’s had its ups and downs, as any freelance venture does. But the last couple of years have been a bit rocky. I haven’t felt as inspired, wasn’t getting that spark of excitement over a new project as often as I used to. I was tired of clients micromanaging, or requesting a design so bare bones traditional that there wasn’t any actual design involved. I was getting things done just to get them done, and I know it showed in some of my work. That’s not how I wanted to operate, but when you’re self-employed you need to keep the paychecks coming in, and so I did, despite being tired and stressed out and unhappy with my work. This year, when wedding planning also got added to my plate, my stress level hit a new high. Insomnia, health issues, and a constant feeling of hopeless overwhelm became the new norm. The idea of getting out of bed in the morning to go to my computer and work was, some days, a seemingly unbearable chore. Had I fallen out of love with design? I didn’t think so. The design work I did for myself was still fun and satisfying, and for a few select clients. But a majority of the work and clients I was spending my time on caused dread rather than excitement. Ding, ding, ding. A large part of my stress level was because I was doing work that I just didn’t care about- either because there was no creativity involved or the industry itself was one that I just had no interest in. And that was something I could fix. I knew I’d be changing my business name once my legal name changed; there was nothing to say I couldn’t change how and for whom I did business as well. So I sat down and really thought about the kind of client and kind of work I want to be doing. It was not a quick process. Eventually it became clear that everything I was interested in doing design-wise fell under one roof: lifestyle. Food, art, books, culture, wellness, nature, events- that’s what they all had in common. Once I had established that I wanted to work solely in the lifestyle sector, the real work began: writing some break-up letters to clients, and all of the copy and packages for this new site. Now, while I wouldn’t say I’m passionate about my new focus (I’m just not that demonstrative with my emotions), it’s a big step in the right direction. The lifestyle sector is something I’m already interested in, on a personal level. Book covers for authors? I’m an unabashed book worm and reading addict, and understand in my core the importance and appeal of a great book cover to attract readers. Branding for restaurants? I love good food, and when a restaurant wows me with their brand and ambiance on top of that, I’m hooked. Paper goods for weddings? Having just got married recently myself, I can honestly say my favorite part of the planning was designing the invitations and the sheer tactile yumminess of luxury paper stocks. Plus I’m a romantic at heart. I enjoy all of these things as a consumer. With that informing my design work, I know I can do amazing work with these clients. And since these industries tend to be more open to new and creative design (rather than just wanting the same-old same-old), I’m excited to see what comes. That bodes well for this new chapter in my life and business. And if you, reading this, fall into the lifestyle sector and are in search of a designer with a newly-lit spark burning in her, drop me a line. I’d love to get started. Have you ever had to change the direction of your business mid-course? What brought it about and how did you implement it?